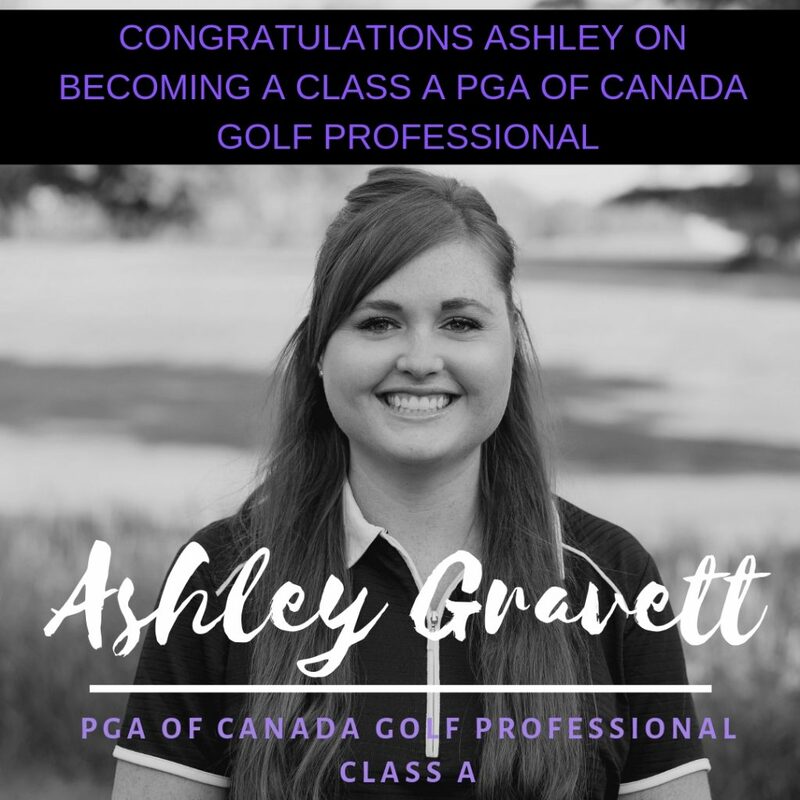 On behalf of the Goderich Sunset Golf Club and the Gravett Family, we wish to congratulate Ashley Gravett on becoming a Class A PGA Golf Professional of Canada. Ashley was informed of passing her last hurdle on January 31, 2019. Like any profession, Ashley was continually upgrading and educating herself in her chosen career. We are pleased to have a Class A Pro at the Sunset. Ashley will continue to work with you, not only to improve your golf game, but your love of golf.